The shooter killed himself in the end. 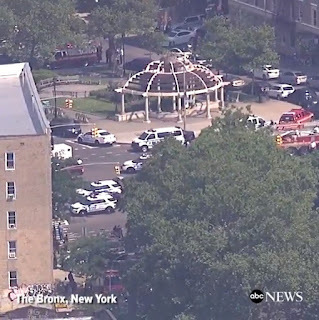 The shooter was a doctor (and was dressed like one, lab coat, and all) who no longer works at the facility in New York City. In addition to his own death, he killed a woman, and wounded six others. The body of the dead woman was near the body of the dead gunman. Could it have been a lover's quarrel? Or were they unrelated. Did the doctor go postal over not working there anymore? At this point, we don't know. No motive has been determined. The early afternoon shooting began around 3:00 pm at the 972 bed facility, one of the largest hospitals in the area. 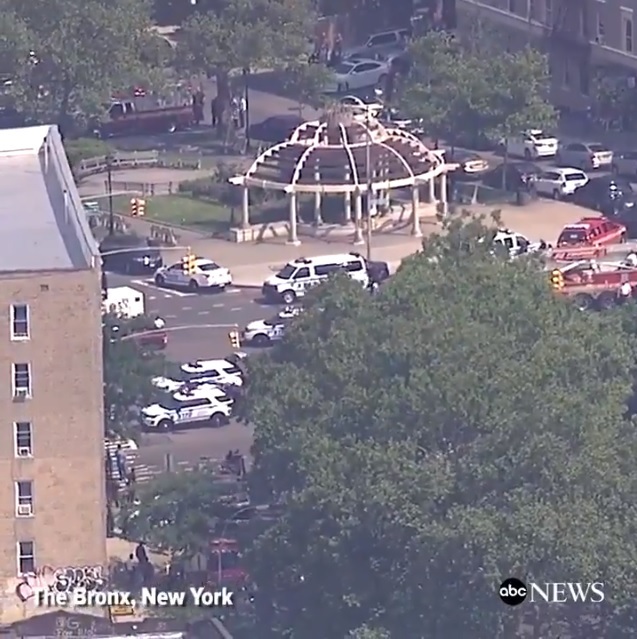 CNN began their article on this story stating the gunman was using an "assault rifle." Any rifle to the mainstream media is an assault rifle. The report that an assault rifle was used is likely a lie, fake news, because in reality, an assault rifle is a fully automatic rifle, or one that can be switched between single shot, semi-auto, or automatic. Those rifles are only available to the members of our military for military operations. I doubt the doctor was wielding such a rifle. What a dope. What a maroon! Not Trump. . . ME! Twice I have written about Trump's Tweet that has the media going nuts. The liberal left is attacking Trump viciously over his "unpresidential" tweet about Mika Brzezinski's bleeding face after a face lift that may, or may not, have happened. The liberal left media is spending all of their time on the story, and so is the not-so-liberal media, like Fox News, and conservative bloggers. 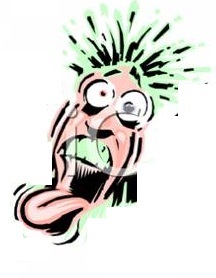 The liberal reporters have been so appalled by Trump's Tweet that blood is practically squirting from their eyes. They can't believe that Trump would do such a thing. . . and Mika and friends have gone so far to say that Trump is being more than mean. It's sexist and shows he does not belong in the White House. In my posts about it I said I like the fact that Trump tweets, but this one may have skirted a little too close to the edge. Perhaps, I have been saying, he should be more diplomatic with his Tweets. Then, I discovered I was wrong. The Mika Brzezinski tweet was incredibly brilliant. The timing was perfect, as planned. The travel ban went into effect, two immigration bills were approved by Congress, and other things the Democrats would normally be screaming about are getting done. . . under the radar, because the people suffering from Trump Derangement Syndrome are too busy to notice because they are too occupied with screaming and yelling about Trump's tweets. He pulled a basketball move, looking one way, and passing the ball the opposite direction. Trump played the media, his enemies, the Democrats, and many of the folks that may not hate him like the liberal left does. . . and they still haven't noticed. 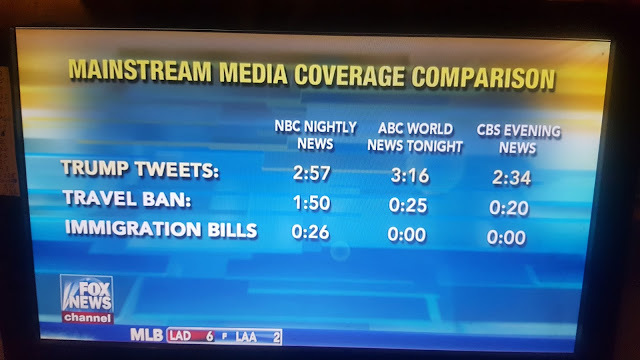 They are still freaking out about a tweet, while Trump gets things done, and the people watching all of these theatrics by the media will respond by turning off their televisions because they are sick of watching the liberal left biased media cry like a bunch of babies because Trump said something mean on Twitter. It's funny. Trump lives rent-free 24 hours a day in the heads of the liberal media, and it is driving them nuts that they can't figure out how to bring him down. . . as they wipe the drool from the sides of their mouths. I am guessing Trump is having a great big laugh as he contemplates how easy it is to get under the skin of the liberal left and their minions in the media. Warren Parody: People Will Die! Sometimes the best way to reveal absurdity is to slap it around with absurdity. . . There are very few conservative republicans serving in legislative positions for the State of California, but they are out there. In the Case of the U.S. House of Representatives, one of those dependable GOP legislators is Tom McClintock. One of the things we've learned over the last few generations is the more conservative the politician, the worse the attacks by leftists against them. . . especially now in this day and age of anti-Trump leftist activists, Black Lives Matter agitators, and screaming Marxist snowflakes. Recently, California Assemblywoman Melissa Melendez, while discussing how the leftist crazies are even going after their own democrats, like Assemblyman Rendon, revealed that she, also, has been the recipient of death threats and violent rhetoric. For McClintock, the attacks have been relentless, with radical activists being such a problem that they have forced the California GOP Representative to need police escorts out of district town hall meetings when things turned violent. The media has been relentless, as well, fueling the fire with their hit pieces on McClintock. In a recent article the Sacramento Bee sided with feminist activists who trolled his district town hall meetings, and then claimed the Congressman’s office threatened them when they called in. Victimhood is what the left likes to use, even if they have to make it up. They "feel" like they were threatened when someone disagrees with them, and so they claim they are being mistreated if you don't become sycophantic for them. But, the Sacramento Bee has labeled the feminists as the victims of the mean GOP representative. They claim their intention is to invite the Congressman to have a dialogue with them, but the reality of what they are really up to shows up later in social media. McClintock’s office says the callers have turned nasty at times. It's political theater based on disruption, and the Sac Bee admits it. “At McClintock’s most recent town hall, a dozen women, young and old, dressed in red cloaks and white bonnets to mimic the oppressed women in Margaret Atwood’s ‘The Handmaid’s Tale,’ a book and ongoing television series about a misogynistic dystopia run by a totalitarian regime” the Bee reported. In short, they don't want dialogue, they want disruption and to neutralize their opposition. They are Saul Alinsky thugs who agitate in the hopes of terrorizing their opposition into silence, and perhaps into submission. And, either they've bought into the propaganda the Democrats have put out, or they know the truth but spread the lies, anyway, in order to support their Marxist agenda. “We wanted the Congressman [McClintock] to hear our voices because of the attacks on women that he supports and the creeping authoritarianism that he supports” one of them told the Huffington Post. Creeping authoritarianism? Isn't it the Republicans who believe in small government, and isn't it the Democrats who keep proposing more government intrusion into our lives? McClintock can only keep on trying to do his job, and weather the storm. The problem is, liberal leftism is like the current of a river. They will never stop, and I fear what comes next. Politics is an ugly game, and it has become uglier since the election of Donald J. Trump. The liberal left in the United States has become completely unhinged. However, we must understand that the election of Donald J. Trump did not create the Democrat Party's sudden fits of anger, or sudden willingness to participate in violence as they scream hateful things and verbalize brutal death threats. . . his election to President of the United States revealed that that is who they really are. Now, trying to figure out what to do with all that anger when it is also turned against their own Democrat Party members, the mainstream media is confused and are "all a twitter" because Democrat Party Speaker of the California Assembly received death threats for killing the Single-Payer bill trying to work its way through the Democrat Supermajority in Sacramento. A heated rally on Wednesday brought dozens of supporters of universal health care to the Capitol -- many were holding signs showing the California state bear getting stabbed in the back. 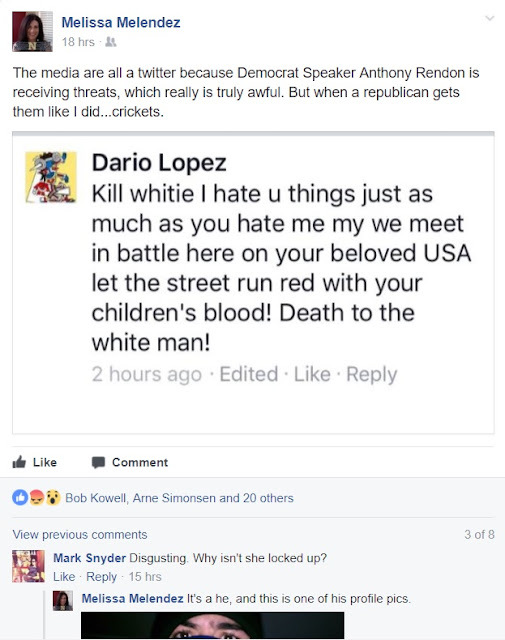 The violent symbol was a direct message to California Assembly Speaker Anthony Rendon, who is also the target of death threats. “Rendon, Rendon shame on you,” protesters shouted outside of Gov. Jerry Brown's office. “Action now on 562." The protesters are angry at Rendon for cancelling an Assembly vote on Senate Bill 562 -- a single-payer plan that would have required the state government to pay the health care costs for all California residents. Robert Krueger of Grass Valley was one of the protesters holding a sign with the stabbed bear. “We feel like he's stabbing the California citizens in the back,” Krueger said. Krueger and many others are upset because Rendon scuttled the Assembly vote after it had breezed through the state Senate. “It's a program that has a price tag up to $400 billion and there's no identified funding source for this,” Rendon said Wednesday. Rendon said he received death threats on social media. “You just killed my son. This means war,” one post said. “Burn him at the stake,” another post read. Rendon said he understands the public anger. Rendon also said the bill’s sponsors are misleading the people of California. The liberal left is so violent and foaming-at-the-mouth rabid that they are now even willing to go after their own if the communist agenda is not put into place now. As a conservative and constitutionalist, especially one in the public eye, threats by the liberal left against me is a common occurrence. My hate mail folder is a pretty fat one. 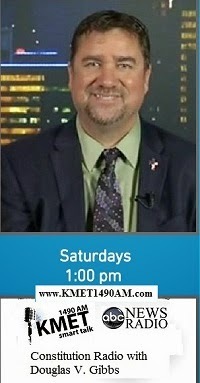 I was recently accused of not only being a "piece of sh**" on my radio program, but in the same letter addressed to the owner of the radio station I am on, I was labeled a liar and a fraud regarding a recent worker's compensation case I was a part of, and it was recommended the owner throw me off the station. By the way, I lost the court case in question despite my bout with chronic pain (often sciatic nerve pain), and MRIs which show the damage - I was beat by a corrupt industry, deceptive lawyers, and an employer who took my case so personally he was willing to pump a lot of money into leaving me with nothing but the pain I continue to battle. 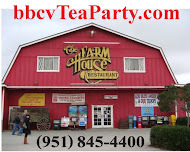 When I spoke to a Riverside County apolitical group that existed for the purpose of uniting Riverside County business people, a few years ago, after looking me up, some of the liberal left members of the group stood outside the door of the venue telling people not to go in because a "dangerous right-wing extremist" was inside giving a presentation on the "oppressive constitution." After an episode of my radio program a bunch of years ago (online before I made the move to AM Radio), a person came to my home in the middle of the night, ripped off my side-view mirror on my pick-up, blacked-out a "NObama" bumper sticker in my back window, and painted in white spray paint on the tail-gate "BIGOT". The police, and FBI, refused to investigate because there was a lack of evidence. Those are just a few of the nasty things I've encountered, and as bad as I think it can often get, I couldn't even imagine how hard it must be to be a political figure - especially politicians for the Republican Party, and especially here in loony California. Melissa Melendez, my assembly representative in Sacramento, after hearing about how the media is crying because Democrat Speaker Anthony Rendon received some threats, revealed that she gets them too. . . but the media doesn't care when a member of the GOP is threatened (and in some cases the leftist democrats wish for violence, and even death, against Republicans). . .
Mr. Rendon, welcome to the Twilight Zone. . .but I doubt it will make him come to his senses, and realize that the game he plays is with violent Marxists who are willing to kill to get their way. It's funny, they call the GOP, and supporters of Trump, various names like fascists, leninists, and mean, yet it is the liberal left who acts in a manner reminiscent of fascist tyranny. Now, they are calling for a Summer of Rage, mass rioting by the left scheduled to begin on Sunday, just before Independence Day. So, while they call the political right "mean," I call their desire to overthrow the government and turn this country into a socialist regime "treason." Doug's Upcoming Speaking Schedule so far. 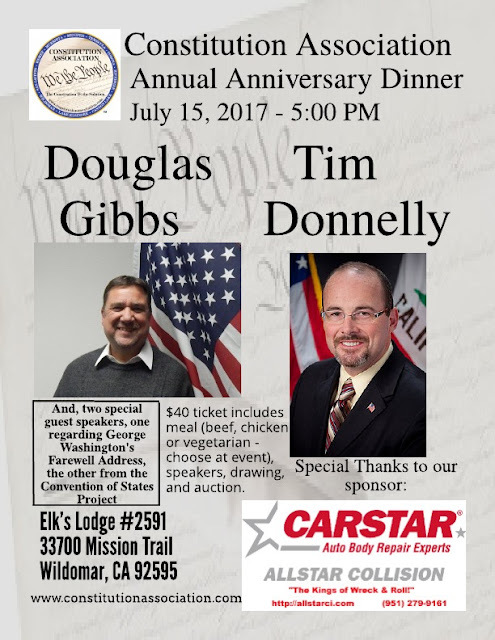 . .
Theme: "Make America Constitutional Again" Guest speakers: Douglas V. Gibbs and Tim Donnelly, with short presentations provided by Phil Brooks: George Washington's Farewell Address; Convention of States Project === Volunteers are needed to make this another great success! If you would like to help, please contact us. Wednesday, August 9, 2017: Doug will be in Sacramento for a televised Press Conference regarding the launch of the Congress of Racial Equality's new expansion program with a dozen new chapter offices, which will also have at each location Constitution Classes based on Douglas V. Gibbs' curriculum and educational programs. The textbook is slated to be released and available for purchase very soon. Monday, August 14, 2017: Doug will begin teaching Government for the Revival Christian Academy home school satellite program. Wednesday, Sep 13, 2017: Doug will be the speaker at Daughters of the American Revolution. Indian Hills Country Club. 6 pm 5700 club House Dr., Riverside, California. Tuesday, Sep 19, 2017: Doug will be Speaking at the Sons of the American Revolution. Canyon Crest Country Club. Hey, I am not saying that I totally approve of Trump's tweet going after Mika Brzezinski - not because she shouldn't be dealt with, but because in politics it is important to fashion your responses in such a manner that they are hard-hitting, but bullet-proof enough that the backlash is largely neutralized. Trump's tweet didn't do that. But, really? With all of the important news out there the liberal left media is going to spend all of their time on what the President tweeted? 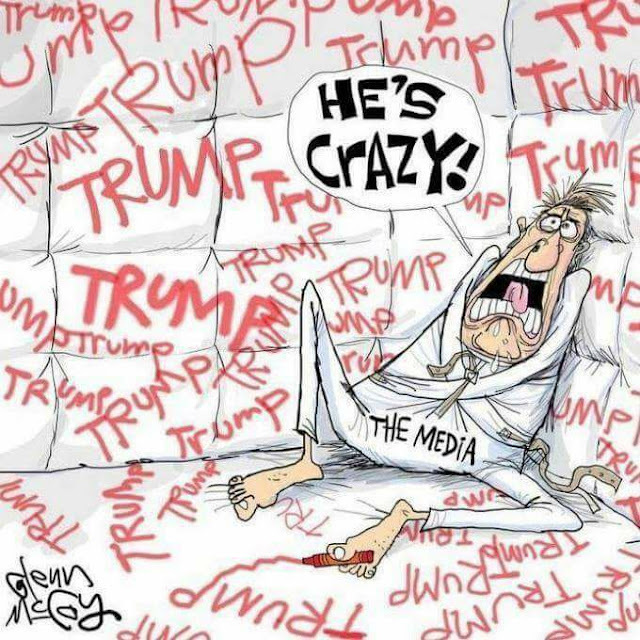 The liberal media said that Trump has shown that he is "mentally ill" over the latest tweet storm and are demanding him to act presidential. He's gotten more done in the opening months as President of the United States than any president I can think of in recent history. 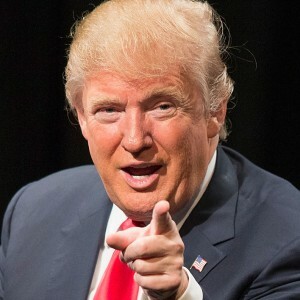 The courts have been hitting him with blind hatred, the media has been hitting him with blind hatred, the Democrats have been hitting him with blind hatred, and yet he is still getting his job done. How presidential must he be before you realize he is your president? Besides, while screaming at him to act presidential, when will the media begin to finally act journalistic? Do they not see their attacks, which are fueled not by what is best for this country, or informing the public of the news, but by blind hatred, as being something that hinges on themselves being mentally ill? By the way, this is only my second post on the Trump's tweets. Unlike the media, I'd rather write about the news, politics and policies of the Washington, not tweets. 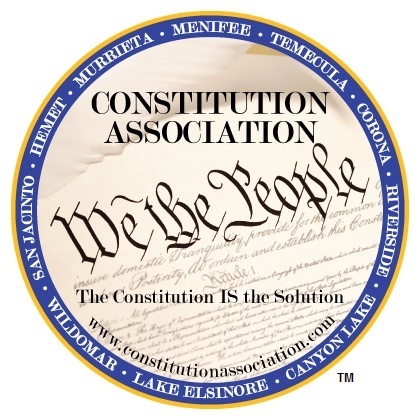 Time Almost Out for Big Constitution Event. . . Get Your Tickets Now! 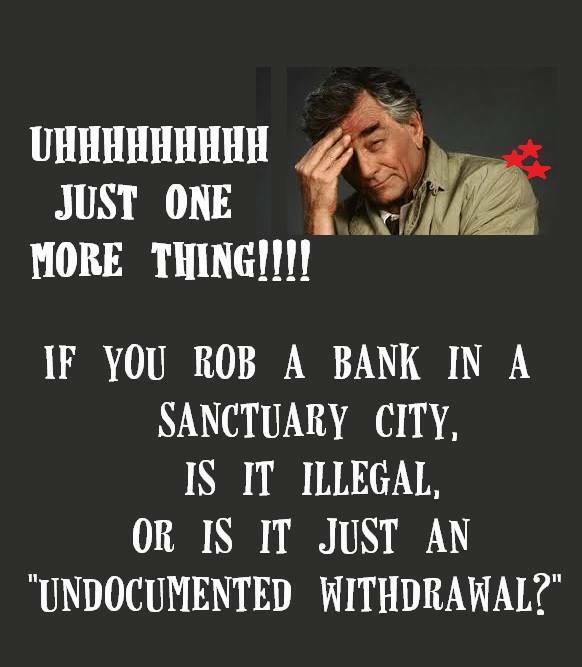 Kate Steinle was the San Francisco woman murdered by an illegal alien who had been deported multiple times, and was taking advantage of San Francisco's unconstitutional sanctuary city status. 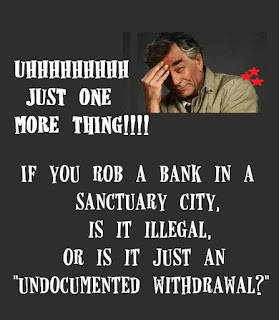 Any sanctuary city or sanctuary state status laws are unconstitutional because federal immigration law does not allow for sanctuary status, and according to Article VI's Supremacy Clause, States (and therefore, also cities) cannot have laws contrary to United States laws which were made pursuant of the U.S. Constitution. The Republican members of the House of Representatives have finally decided to do something about sanctuary cities, and they decided to name the bill after Kate Steinle. Kate’s Law, if it becomes law, would deny federal grants to sanctuary cities and increase the penalties for deported aliens who try to return to the United States. The two parts of Kate's Law are being proposed as two separate bills. Only one Republican has voted against the increased penalties for illegals bill, and 24 Democrats have joined the winning side in voting their approval for the new bill. Of course the leftists in the streets are screaming against the bills, calling the Trump administration's desire to execute the constitutional immigration laws on the books as being “anti-immigrant,” but Attorney General Jeff Sessions says it is not sound policy to allow sanctuary cities to flout federal immigration laws. ICE already has arrested nearly 66,000 individuals this year that were either known or suspected to be in the country illegally. Of those arrested, 48,000 were convicted criminal aliens. ICE has also been making raids on convenience stores with great success, but the media has been hiding the signs of success. In the past, Trump has made it abundantly clear that among his key agenda issues is immigration, and he has linked the immigration issue to national security. “We will suspend immigration from regions where it cannot be safely processed,” Trump said last December. "We will restore the sovereignty of the United States, finally end illegal immigration, construct a great wall at the border, dismantle the criminal cartels, liberate our communities from the epidemic of gang violence and drugs pouring into our nation. We will ask Congress to reform our immigration programs to protect jobs and wages for American workers. The Forgotten Men and Women of Our Nation. to keep our nation safe and secure from terrorism we sill suspend immigration from regions where it cannot be safely processed. People are pouring into our country. I don’t have to say who’s letting them in any more. We don’t need another San Bernardino. We don’t need another Orlando. We don’t need another World Trade Center. We don’t need another Paris or Nice. Look at Germany. We have enough problems. Your state has just experienced a violent another atrocity at the great Ohio State University. That further demonstrates the security threats stupidly created by our very very stupid politicians: refugee programs. The job of the president is to keep America safe and that will always be my highest priority." Candidate Donald Trump emerged on the scene because he took a hard stance on immigration. His position on the issue is a large part of what got him elected as President of the United States over criminal alien friendly Democrat Candidate Hillary Clinton, and stands in stark contrast to the Obama policies of the previous eight years which sent the message to the illegals that they were welcome to come. Kate's Law is a perfect step in the direction of fulfilling his promise, and combating the unconstitutional and treasonous activities of the Democrats at the State level. First, I am saddened that the sponsor of this heinous bill is a republican. Congressman Jeff Denham is the sponsor behind trying to bring ENLIST Act (H.R. 60) to the floor of Congress. If the bill became law, it would permit certain illegal immigrants to serve in the military and grant them near-instant citizenship. 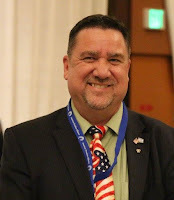 While I understand the desire to be fair to the children who came as illegals into the United States by no fault of their own, and I desire to give them some kind of path to remain in the United States (preferably a path that would find a way to keep the ones who truly wish to patriotically assimilate, and remove the ones who do not wish to make America constitutional again), amnesty through the military is not the way to do it. As a military veteran, I understand that having people in the military who may or may not have full allegiance to the country, and only enlisted because it may be a path for them to become an instant citizen, does not improve our military, enhance military preparedness, or improve our readiness as a nation to defend itself against enemies. In fact, it may potentially allow enemies of our great nation to infiltrate with more ease into our military. H.R. 60 is yet another bill designed to use the military as a laboratory for normalizing leftist schemes, which in this case would normalize amnesty for illegal immigration and essentially codify Obama’s unlawful executive amnesty. The bill would enable illegal immigrants who enter the United States Armed Forces to be pardoned for violating immigration law, give them full military benefits, grant them without any questions lawful permanent resident status in the U.S., and give them a simple little path to take for instant citizenship. If enacted, this policy would provide citizenship within a few months to unlawful immigrant children of every foreign nation, including those countries that promote and fund Islamic terrorism, and including people who may have connections to south-of-the-border gangs or drug cartels. Not only was the bill introduced by a republican, but of the more than 200 co-sponsors, 100 of them are House Republicans. The intent of the politicians pushing this thing is to add this very bad piece of legislation to The National Defense Authorization Act (NDAA), which is the United States federal law that specifies the budget and expenditures of the United States Department of Defense, and is already loaded with some very draconian provisions. H.R. 60 is bad for America, grants back-door amnesty, and does not improve the military - and in reality could be very dangerous for our armed forces. Conservatives need to be loud about this one, and do what they can to influence our legislators to remove their names from the co-sponsor list, or if they are not co-sponsors, to do what they can to stop this deadly bill in its tracks. 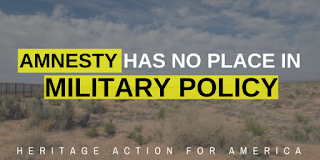 ➼ The ENLIST Act undermines the military by unnecessarily dragging the entire immigration debate into U.S. military policy. ➼ By allowing unlawful immigrants to sign up for the armed forces, the government is granting them a pardon for violating the law, the full battery of military benefits, lawful permanent resident status in the U.S., and a back-door promise of instant citizenship. ➼ The ENLIST Act further damages our broken immigration system by putting those who violated the law ahead of those who want to come to the U.S. legally. ➼ The ENLIST Act is a way to keep the Obama Administration’s policies alive by offering a path for amnesty to the estimated 1.7 million unlawful minors who are currently in legal limbo. Call your representatives to stop this very dangerous bill. 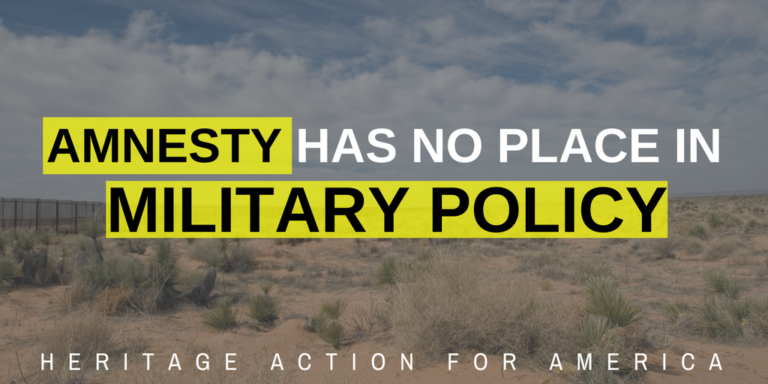 Click to tweet: The #ENLISTAct is not immigration reform and doesn’t help our military preparedness. Click to tweet: The #ENLISTAct is a scheme to normalize amnesty for illegal immigration and essentially codify Obama’s unlawful executive amnesty. Click to tweet: @REPNAME the #ENLISTAct gives unlawful immigrants a near-instant citizenship. Remove your name as a co-sponsor! Click to tweet: @REPNAME remove your name as co-sponsor on the #ENLISTAct today! Also, write your newspapers or other media outlets. The word must get out. The H.R. 60 monstrosity must be stopped. Section 2 of Article II establishes the President as the Commander in Chief of the Army and Navy, and of the Militia of the several States, when called into the actual Service of the United States. This allows for the President to wage war, if necessary, without Congressional approval. However, if Congress does not agree with the President's actions, they can pull the funding, which would force a discontinuation of the use of the military for whatever operations the President chose them to operate. In the Articles of Confederation, the powers to wage war, and to declare war, were listed as separate authorities, although in the Articles of Confederation both powers were granted to the Congress. There were extensive debates over war powers. In fact, when the founders were debating over war powers in regards to Article I during their assembly on August 17, 1787, they considered giving to Congress the power to "make war." A number of reasons brought up during that debate convinced the delegates to give Congress the power to declare war, instead. This decision left the power to make war with the President, as Commander in Chief. When the Framers of the Constitution were creating the executive branch, the President they had in mind was George Washington. He was, in their eyes, the perfect President. The executive branch was fashioned around Washington's personality, and abilities. The expectations were that the presidents to follow Washington would be similar to Mr. Washington in their level of sacred honor, humility, and ability to properly apply the war powers as necessary, while refraining from becoming involved in foreign entanglements that did not directly affect the United States of America. Among Washington's strengths was that he was a great general. It became apparent that the President would need to be a strong military leader. However, the consideration that an executive may take that power and abuse it was in play. Therefore, a number of checks and balances against the power of the executive branch were put into place. Part of the reason the power to make war was given to the President, and not Congress, has much to do with the time period. One must consider that when the members of Congress were at home in their districts, it could be as far as the southernmost State of Georgia. Considering the lack of technology, members of Congress could not just get on a plane, or take a drive, to get to Washington, D.C., quickly. Even the time it may take to get the messages out to the members of Congress could take longer than the time needed to begin necessary war maneuvers. When it came to war powers, the need was for the Commander in Chief to be quick, decisive, and take care of business as needed. However, if we have a President acting in a tyrannical manner, launching military operations when it is not necessary, aside from the ability to electorally vote the President out of office, the Congress has two ways to check his behavior. First, Congress can pull funding. If there is no money, the troops must be brought home. Second, the Congress has the power to impeach the President if he is becoming tyrannical, or is doing things that he shouldn't (maladministration). One concern that has arisen in today's political environment, largely as a result of the change in the dynamics of our political system by the 17th Amendment in 1913 that changed the Senate from being the voice of the States, to an assembly directly voted into office by public vote, is if both Houses of Congress are in collusion with the President. A White House administration with both Houses of Congress working with the President could be a recipe for disaster in regards to the rule of law, creating an opportunity for those three parts of the federal government to collude against the people, which would inevitably lead to the rise of an unchecked oligarchy. In the cases of the wars in Iraq, Afghanistan, or Libya, the President had every right to launch those operations. That is not to say the decisions were correct, or in the best interest of our country, but that the President had the constitutional authority to wage war in those theaters without his actions being accompanied by a congressional declaration of war. When it came to foreign entanglements, the Founders preferred America to stay out of such conflicts unless American interests were directly influenced. George Washington in his farewell address is actually quite clear on the subject. Congress holding the power to declare war does not mean that the President must ask Congress for permission before waging war. In today's world it would seem to be the reasonable thing to do, and I believe it would be the proper thing to do, but as far as the Constitution is concerned, congressional approval for a military action is not necessary. A reference used to support the concept of "no war without a declaration" is The War Powers Act of 1973. The War Powers Act was simply a piece of legislation, and did not change the authorities of the President when it came to his war powers. The War Powers Act is unconstitutional. Only amendments can change the authorities granted to the President of the United States. The two Barbary Wars, the first two international wars the United States found herself engaged in, were waged by Thomas Jefferson and James Madison. Jefferson's engagement against the Muslim States of the Barbary Coast was fought from 1802 to 1805, after Jefferson refused to continue paying a tribute to the Barbary Pirates for safe passage through the Mediterranean Sea. Hostilities were reignited in 1815, during Madison's presidency. Both wars were undeclared, waged by Jefferson and Madison without a declaration of war from the Congress, but Congress did appropriate funding for both campaigns. The President of the United States is not supposed to be all powerful, or the final decision maker in the federal government. The American System of government is full of checks and balances. Even as the Commander in Chief, if he is abusing his power as the head of military operations, Congress can defund war efforts, or impeach the President. In Article II the Constitution states that the President is the "Commander in Chief of the Army and Navy of the United States, and of the Militia of the several States, when called into the actual service of the United States." Some have argued that means he is only Commander in Chief when "he" is called into service to do so, which is accomplished by a declaration of war. That is an erroneous opinion. As Commander in Chief, the President may engage the Army and Navy in war operations as necessary. This power of Commander in Chief does not extend to the militias at the President's whim. The President is only the Commander in Chief of the Militia of the several States, when the militia is called into actual service of the United States. The distinction was established so that the President could use military forces against foreign enemies if a quick and decisive decision was necessary, but not against the States, or the American people. The standing army is not for domestic use to suppress insurrections, or repel invasions. That is what the militias are for, and the militia can only be put into action by Congress, or State leadership. The President does not control the militias, nor does he determine when they go into action. His only relationship with the militias only emerges when they are called into actual service of the United States by the United States Congress. Then, and only then, the President serves as Commander in Chief over the militias. Article I, Section 8 states that "Congress shall have power to provide for calling forth the Militia to execute the laws of the Union, suppress Insurrections and repel invasions." Though the President is tasked with "faithfully executing the laws of the United States" as stated in Article II, Section 3, and he can do so with executive departments such as I.C.E., and the Border Patrol, the actual call for the militia (National Guard, State Militias, unorganized militia) to protect the border is the responsibility of Congress, and State leadership. Article II, Section 2, Clause 1 indicates the President may "require the Opinion, in writing, of the principal Officer in each of the executive Departments, upon any Subject relating to the Duties of their respective offices." This part of this clause is a good indication that the Founding Fathers felt the President should consult others when making decisions, especially those familiar with the departments in question. The existence of the different executive departments is constitutional, as long as they are established to handle constitutional duties of the federal government, and their powers are limited within constitutional allowances. Originally, there were only four executive departments (and five if you separate the War Department and Department of the Navy); the War Department, the State Department, the Department of the Treasury, and the Department of Justice. The Department of the Navy served as a separate department until 1947, but worked closely with the Department of War. There are many departments in the executive branch that are unconstitutional, and should not have even been established. The Education Department, for example, is unconstitutional in its current form because there is no place in the Constitution that gives the federal government the authority to regulate, or be involved in, education. Therefore, as per the 10th Amendment, education is a State issue. The Energy Department and the Environmental Protection Agency are also unconstitutional. The federal government has no authority to regulate those issues. However, if those departments did not regulate, but only kept studies and records of those issues, then the existence of those agencies may be acceptable. The executive branch can have departments and agencies that study issues not authorized by the Constitution to fall under the federal government, but they cannot have any regulatory power because any federal laws regarding those issues are not constitutionally authorized to the United States Government. 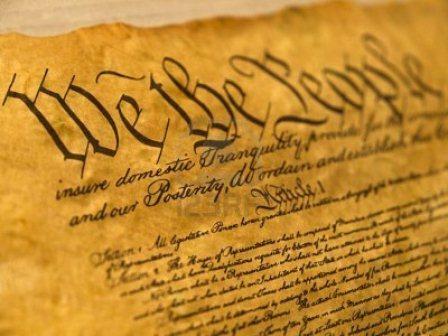 Regulations are directly connected to laws, and laws must be constitutional in the first place in order to be considered the supreme law of the land. Despite these agencies not being legally allowed to regulate unconstitutional law, agencies like the EPA are doing just that. In fact, the EPA is regulating independently, literally legislating through regulations. In other words, the EPA, as well as other agencies, have been enacting their own regulations without the benefit of a law being on the books, revealing the danger of having unconstitutional departments and agencies. This is not to say we should not have the various departments and agencies of the executive branch. Some of them are constitutional, and absolutely necessary. Correction of federal unconstitutionality can be sought through concepts known as Republic Review, and nullification. By using a convention of delegates from the several States to determine the unconstitutionality of particular laws, actions, or departments of the federal government, the States can be encouraged to work together to nullify the unconstitutional regulations set forth by the various federal agencies. The States have the authority to take care of their own business, and if a federal agency tries to regulate an issue that falls under the State's powers, the States have the right to ignore that regulation. A common belief is that if we do not have these various federal agencies regulating things like food, energy, and actions against the environment, people will just act in ways that are unacceptable and dangerous. The opposition to the Constitution will tell you that we need the federal government to make sure that our food is safe, energy is used properly, and corporations are not polluting our fragile environment. Local issues are supposed to be handled at the local level, and the people, through their States, are more than capable of properly regulating these issues as necessary, but in a manner that is consistent with the local opinion of the electorate. The Founding Fathers did not trust a large, centralized, national government, hence, the reason the Framers only granted to the federal government authorities regarding external issues, and the power to act as a mediator between the States in the case of disagreement. The President is also given the power to grant reprieves and pardons for offenses against the United States, except in cases of impeachment. This was one of the first functions President Gerald Ford took advantage of when he took office after President Richard Nixon resigned, pardoning Nixon so that no criminal cases could be brought against him. No impeachment procedure had ensued, so Ford was constitutionally allowed to grant the pardon. It has been suggested that is why Nixon resigned. If he had not resigned, and was impeached, the next President would not have had the authority to pardon him. The President is granted the ability to make treaties and to nominate members to the executive branch, Supreme Court, and other offices not expressly provided for in the Constitution. Agreement and consent of two thirds of the Senate is necessary for any treaty, or nomination for that matter, to become effective. The advise and consent powers granted to the United States Senate was a way of disallowing the executive branch from mirroring the centralized British Model of unilateral control under the king. The authority also gave the States the allowance to approve or disapprove any action by the President by requiring that the Senate concur with two-thirds vote. The purpose of giving advise and consent powers to the U.S. Senate refers us back to the original dynamics of the United States government. The Senators in the U.S. Senate were appointed by the State Legislatures before the appearance of the 17th Amendment in 1913. The Senate was the States' representation in the federal government. The Senators were the voice of the States. Treaties, appointments, and other executive functions, though executed by the President, requires approval by the Senate. The States, as with the granting of powers to the federal government in the first place through the articles of the Constitution, had the power to approve or disapprove the President's actions through the U.S. Senate in a manner much like parents grant permission to their children before a child can perform a particular action. After all, the Senate was the voice of the States, and it was the States that created the federal government in the first place. This was an important check upon the executive branch by the States. The executive branch requiring the consent of the U.S. Senate for some of its actions reminds us of the amendment process. As with treaties and appointments by the executive branch, amendments must be approved, or ratified, by the States. In the case of amendments, however, the vote is three-quarters of the States in order to ratify. The federal government, be it through amendments, or executive actions, needs the permission of the States. Remember, the States once held all powers. It was the States that provided the authorities to the federal government so that it may exist, and function. The States had original authority over all powers, and decided to grant a few authorities to the federal government so that it may operate in a necessary manner - specifically for the purpose of protecting, preserving, and promoting the union. The States gave permission to the federal government to function in a manner prescribed by the Constitution. An opponent to the originalist viewpoint of the Constitution once said to me, "You have it all wrong. The federal government tells the States what to do." If that was the case, then why would the President need to get the consent of the U.S. Senate to make treaties, and two-thirds of the Senators present have to concur? Why would the President's nominations need to be interviewed and approved by the Senate? And with that in mind, remember that before the 17th Amendment in 1913, the Senate was the voice of the States. The executive can do very little without the Senate's approval. War Powers seems like an exception on the surface, but even the authority to make war has its checks by Congress. For the most part, it is up to the people and the States through Congress to ensure the President does not act in a manner unbecoming of the office. This check is designed to protect us from tyranny. Imagine how different the appointment hearings of Supreme Court justices have become, now that the Senate is no longer the representation of the States, anymore. The questions are probably very different than they otherwise would be. Now, the House and the Senate are really not a whole lot different. They are both voted in by the popular vote. Before 1913, the Senate was the voice of the States. I wonder how the questions posed to the Supreme Court nominees would be different if the Senate still belonged to the States. Perhaps the questions would be more in line with protecting State sovereignty. Surely the concerns of the States would be behind much of the questioning. The 17th Amendment changed the dynamics of our government. One of the reasons our federal government is constantly acting unconstitutionally is because it is now structured unconstitutionally. The people voting for the Senators, rather than the Senators being appointed by the State legislatures, is not in line with what was originally intended. With the voice of the States removed, the government cannot function as intended because the proper checks and balances are not in place. The 17th Amendment introduced ideology into the Senate, and removed one of the checks necessary to protect us against a federal government constantly seeking to become more expansive. The final clause of Article II, Section 2 of the U.S. Constitution states: The President shall have Power to fill up all Vacancies that may happen during the Recess of the Senate, by granting Commissions which shall expire at the End of their next Session. This clause refers to what is called a recess appointment. A recess appointment is the appointment of a senior federal official (department head, judge, etc.) by the President while the U.S. Senate is in recess. As the voice of the States in the federal government, the Senate must confirm all appointments of senior federal officers before they assume office. However, while the U.S. Senate is in recess, and during the early years of this nation that meant they could be a few days ride away, the President can make a recess appointment without Senate confirmation. However, the appointment only remains in effect until the next session. A recess appointment must be approved by the Senate by the end of the next session of Congress, or the position becomes vacant again. Remember, the House of Representatives and the Senate were originally made up very differently from each other. The Representatives go to Washington to serve their district, and to act in accordance with the will of the people in their district, making the House of Representatives literally the voice of the people in the federal government. The Senate was made up of Senators appointed by the State legislatures. The Senators represented the States, and they made up the State coalition of the federal government. It was through the Senate that the States had representation in the federal government, and could ensure, along with the House of Representatives, to provide a series of checks against the executive branch. Part of the way to control power is to divide it. Then, after you divide the power, divide it again. Then, make the powers of the separate branches different from each other, that way they do not collude together against the people, or other branches of government. One of the fears of the Founders was that the branches would collude together in an effort to take away individual freedoms. By requiring the Senate to confirm appointments by the Executive, it kept a leash on the Executive. Even in a recess appointment, when the President could appoint without confirmation by the Senate, confirmation would still eventually be needed or else the seat became vacant again. This kept the Executive from surrounding himself with a group of cronies the States did not approve of. 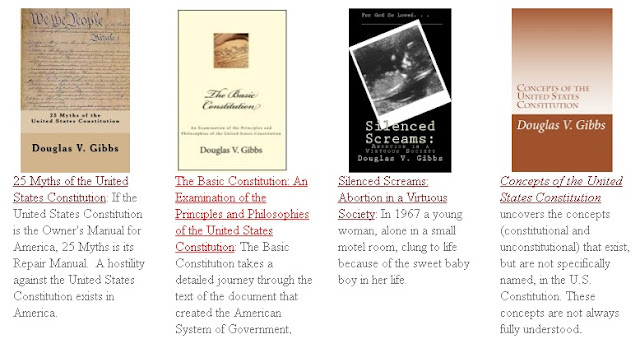 Advise and Consent Powers - Treaties, appointments, and other executive functions, though executed by the President, requires the advise by, and the approval of, the Senate. Foreign Entanglements - Unnecessary involvement with other nations. 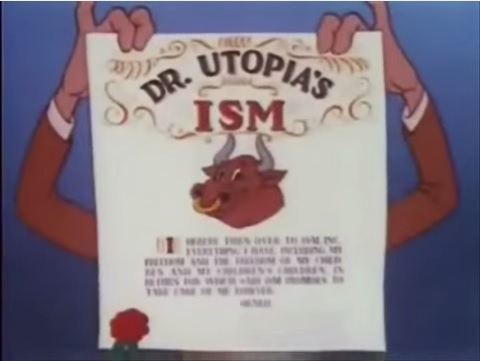 Ideology - A set of political or economic ideas that forms the basis of economic or political theory and policy. Impeachment - To charge with misconduct. Formal process that may lead to removal of an official accused of unlawful activity; impeachment does not mean the removal from office, though removal from office is often the result of impeachment proceedings. Militia - An army composed of ordinary citizens rather than professional soldiers; a military force that is not part of a regular army and is subject to call for service in an emergency; the whole body of physically fit civilians eligible by law for military service. National Government - Any political organization that is put in place to maintain control of a nation; a strong central government that does not recognize the individualism or local authorities of the smaller parts, such as states, of the nation. Nullification - State power to ignore unconstitutional federal law. Oligarchy - Government by a few powerful persons, over the many. A state governed by a few persons. Recess Appointment - The appointment of a senior federal official (department head, judge, etc.) by the President while the U.S. Senate is in recess. Republic Review - A convention of delegates representing the several States in order to audit the laws, actions, and composure of the United States federal government; a review of unconstitutional characteristics of the federal government based on the amendment ratification concept that if it takes three-quarters of the States to ratify an amendment, a quarter (plus one) of the States determining a law, action or department of the federal government to be unconstitutional allows the States to nullify the item. United States Senate - The House of Congress in which each State enjoys equal suffrage of representation, with two Senators per State. The appointment of Senators was originally by their State legislatures, creating a natural check and balance between the House of Representatives, and the U.S. Senate. The appointment of Senators was changed to the popular vote of the people by the 17th Amendment in 1913. War Power - Power exercised in the prosecution of war. 1. What is the difference between the power to Wage War, and the power to Declare War? 2. What is meant by "Commander in Chief?" 3. Why should, or shouldn't, the United States engage in foreign entanglements? 4. Why is the War Powers Act of 1973 unconstitutional? 5. How can the States protect against a President abusing his war powers? 6. When are State Militias under State authority, and when are they under federal authority? 7. When is the President the Commander in Chief over the State Militias? 8. Regulatory Agencies are constitutional, but their regulations must conform to what authorities granted? 9. What is the difference between impeachment, and being removed from office? 10. When are recess appointments allowed? 11. What is a pro-forma session? Joseph Andrews, A Guide for Learning and Teaching The Declaration of Independence and The U.S. Constitution - Learning from the Original Texts Using Classical Learning Methods of the Founders; San Marcos: The Center for Teaching the Constitution (2010).